"I've been a client of Michelle's for years and she is the best around. I'm in the public-eye daily and can't have my nails being sub-par in style or quality. She pays attention to detail and I constantly get compliments on my nails (acrylics) and toes. I'm still always amazed at how good she makes my nails look. I couldn't ask for a better nail technician and am so thankful for her experience and expertise. Thank you girly, you are truly a blessing!" "Michelle is a true nail professional. Sweet, kind, and caring, she takes 100% pride in her work and is a detailed nail tech. All of her products are top of the line. You can count on quality in hygiene and you will love your nails! I do!" "If you are looking for a nail technician who truly cares not only about your nails but about you as a person, go see Michelle. I've been with Michelle for approximately 10 years. Michelle uses the best products on the market. 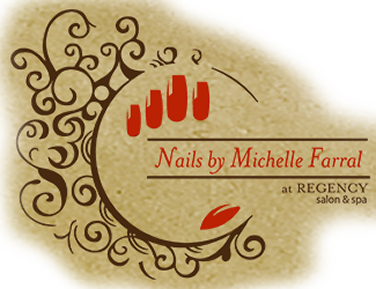 Maintaining healthy nails is one of Michelle's main concerns. Compare Michelle's work to those salons you see on every corner and you will see a huge difference not only in the quality of product but also in the quality of her work. Michelle will not disappoint you!! You will not only gain a great nail tech but you will gain a great friend!" Michelle is fabulous!!!! I bite my nails and, for the first time ever, didn't feel any kind of judgement when I walked in and she saw my nails. She is very into nail health and told me to contact her if anything happened to my nails (lifting, breaking, etc). She doesn't want anyone to get any kind of infections and will fix whatever problem you're having as soon as she can. We talked a lot and I have always been looking for a place where you don't feel like you're part of an assembly line and can have a conversation. I have definitely found my place! Booking appointments online is super convenient and Michelle is quick to respond to anything you need or want. Come see her today!!!! !